We at a critical point of opportunity to better protect some of California's best backcountry fishing and hunting opportunity. 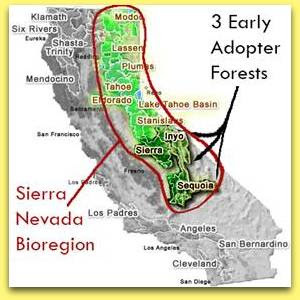 The Forest Service is seeking public feedback on the agency's Draft Environmental Impact Statement (DEIS) and Draft Revised Land Management Plans for Sierra, Sequoia and Inyo National Forests. Trout Unlimited urges all sportsmen to weigh in on this process to: (1) support protection of high quality headwater habitat, wild and scenic rivers, and other areas of high habitat value (2) promote native trout habitat restoration and enhancement efforts and (3) provide sustainable recreation opportunity. These documents provide management direction for aquatics systems - including rivers, stream, and meadows - and the fish species that depend on them. 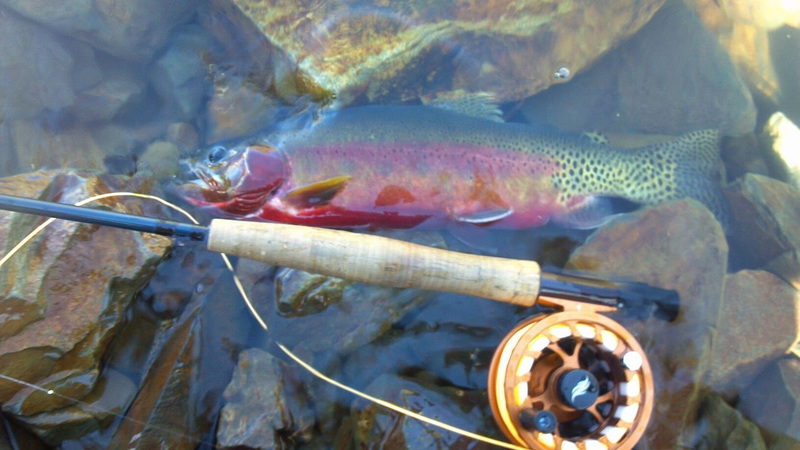 The Southern Sierra Forests host some of California's most sensitive fish species, including California golden trout, Little Kern golden trout and Kern River rainbow trout. These Management Plans regulate important impact issues such as grazing, roads, logging, mining as well as provide direction for prioritizing restoration for the most degraded watersheds. The Forest Service is hosting public workshops to gather feedback on the recently released draft documents. All meetings are open to the public, and are an opportunity to submit written or verbal feedback to Forest Service staff. June 13th (Monday) in Mammoth Lakes. 6-8pm. June 14th (Tuesday) in Bishop. 6-8pm. June 15th (Wednesday) in Porterville. 6-8pm. June 16th (Thursday) in Clovis. 6-8pm. June 22nd (Wednesday) in Los Angeles Area. 6-9pm. June 23nd (Wednesday) in Los Angeles Area. 5-8pm. June 29th (Wednesday) in San Francisco Area. 6-9pm. August 1st (Monday) in Mammoth Lakes. 6-8pm. August 2nd (Tuesday) in Bishop. 6-8pm. August 3rd (Wednesday) in Bakersfield. 6-8pm. August 4th (Thursday) in Clovis. 6-8pm. If you cannot attend a public meeting, written feedback can be submitted through August 25th, 2016. Trout Unlimited will submit a formal letter to the Forest Service on the DEIS and Draft Management Plans. 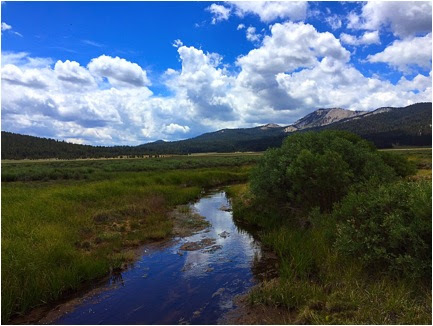 Our focus will be on management strategies related to aquatics, roads, habitat restoration and other issue areas pertinent to TU's mission to protect, reconnect, restore and sustain fish and wildlife habitats, and those areas utilized by California sportsmen. To access the Forest Plan Revision documents, you can download them from the Region 5 Planning Website HERE. Their website contains the DEIS, Draft Managment Plans and various maps (including proposed wilderness evaluations) and other supporting documentation. Forest Plan Revisions under the 2012 Planning Rule offer a unique opportunity to better manage some of highest quality fish and game habitat and hunting and fishing opportunity in the Nation. The 2012 Planning Rule includes stronger protections for forests, water and wildlife while supporting the economic vitality of rural communities. Revised plans must protect water resources and emphasize restoration to facilitate landscape resilience to our warming climate and other ecosystem stressors. Management plan components should protect key habitats for these species, restore known degraded areas and routinely monitor populations to ensure management strategies are promoting success and providing usable data for adaptive management strategies. Meadows are key headwater habitats for native trout species and should be better protected and retored if degraded. Stressors such as roads, grazing and resource extraction should be limited in such areas. Establishing new or expanding existing "Critical Aquatic Refuges" offer opportunity to better protect vulnerable trout species. These Refuges should be established using the Best Available Science, such as TU's Conservation Success Index. Improperly maintained or ill-placed roads are a documented primary threat to aquatic systems. "Risky" roads restoration should be a restoration priority for Sierra Nevada forest. Wilderness Areas and Wild and Scenic River designations provide some of the best opportunity for protecting high quality fish and game habitat. Management strategies should ensure proper protection of these special places. Partnerships are key to maintaining or restoring key aquatic and terrestrial habitats on our public lands. 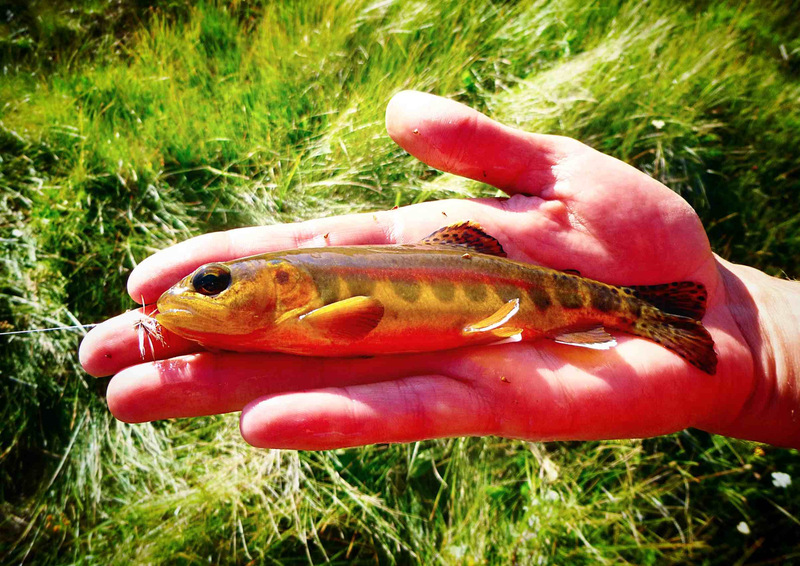 Management Plans should facilitate opportunities for agencies and organizations to work together - as seen in the California Golden Trout Project.